Yes not very well known and as the numbers made must be quite small they seldom turn up. 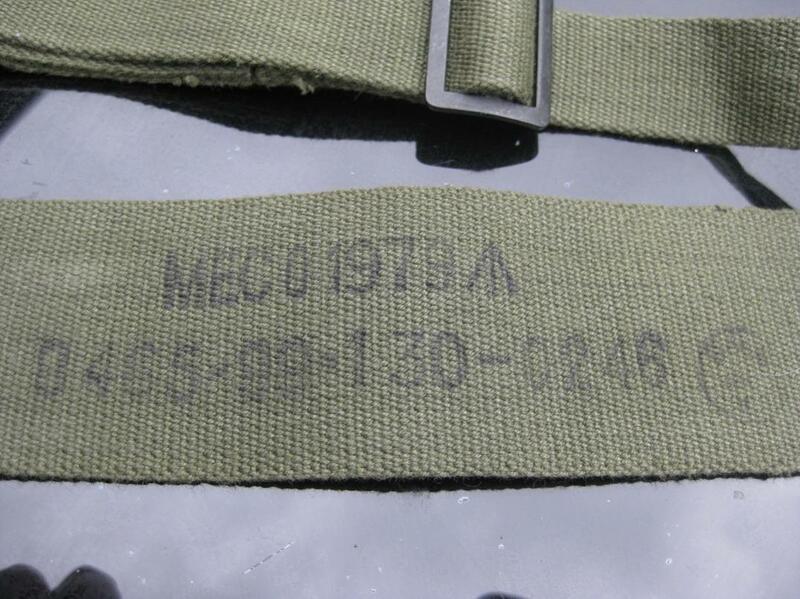 At the end of each brace there are three inch loops to enable them to be slipped over a waistbelt. One of them has a loop to enable them to be crossed over in the small of the back just like '37 pattern. The Detail column has inconsistent text. They were not present in CCN 1965, they were introduced between 1965 & 1976, specifically for SAS and I've never seen photos showing otherwise. The dropped loops were because SAS favoured Bergens, their multi-day patrols requiring more to be carried. 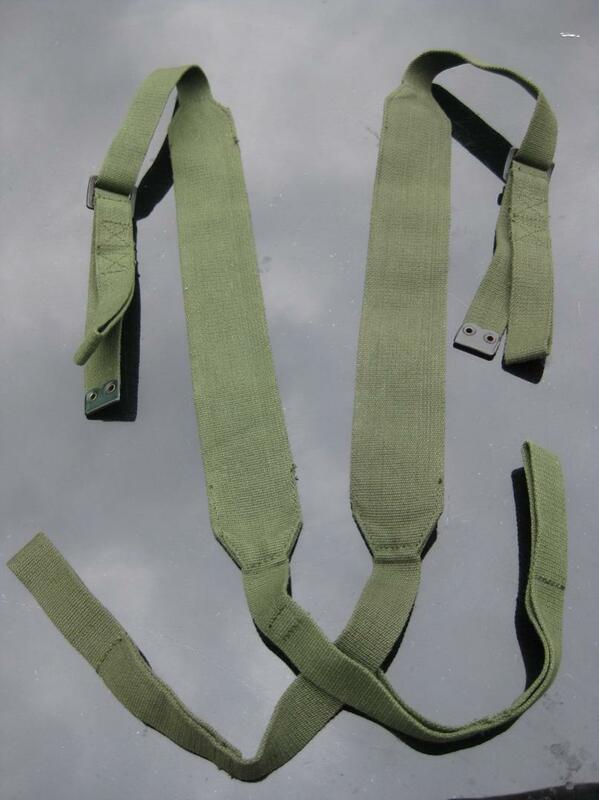 The lumbar strap of the bergen coincides with the waistbelt, so all pouches had to be below it. -0251 inverts to Sheath Knife. It's not, of course, its a sheath for a knife, specifically such as Victorinox Swiss Army, Gerber, etc Trade Pattern stuff. Marked GQ makes it very interesting. RFD-GQ took over Mills in 1970s, their product lines being reasonably coincident. Venture capitalists thereafter screwed everything up. It was a simple loop over the belt with a pocket that took the standard issue clasp knife if it's the one I'm thinking of. Used to be worn in barracks more than in field. I might have to get some of those braces, i just looked down the pouch list and I have everything on it! 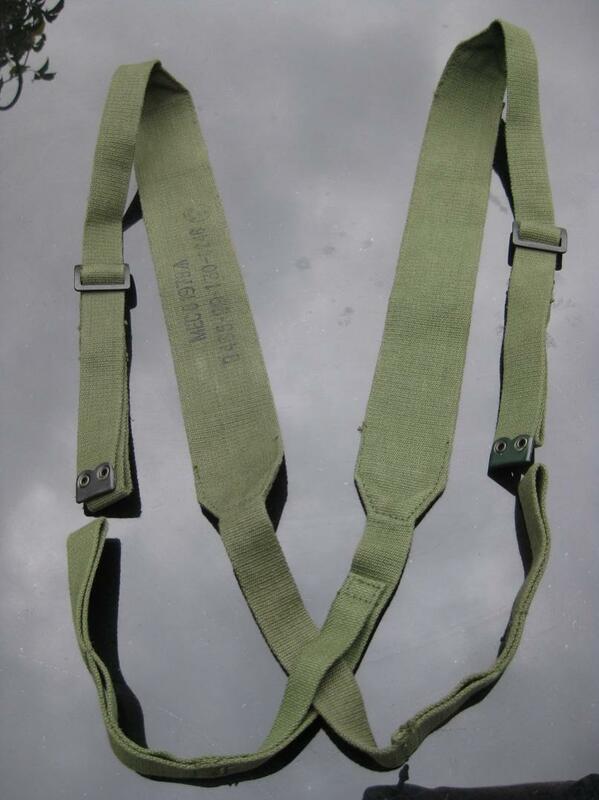 I have my "SAS" pouches set up with a 58Yoke, which stops them slipping around the belt.